Business doesn't stop when you're out of the office, and sometimes important financial decisions just can't wait until you get back. Investors Community Bank's business banking app, ICB Business Mobile, allows you to take the bank with you - anytime, anywhere. ICB Business Mobile puts the power of financial management and supervision right into your hands. ICB Business Mobile offers intuitive and user-friendly banking services to help you manage your business finances faster and more effectively than ever. In order to access and utilize ICB Business Mobile, you must first be enrolled in our online business banking platform. Whether you are a current online banking user looking to add mobile capabilities, or are new to online banking and need to start the enrollment process, please contact a Cash Management Specialist for assistance. Once you are enrolled and granted access, you can download the ICB Business Mobile app by searching for "ICB Business Mobile" on the Apple App Store or Android's Google Play, or by clicking on one of the links below. Once the download is complete, simply log in using your online business banking credentials. 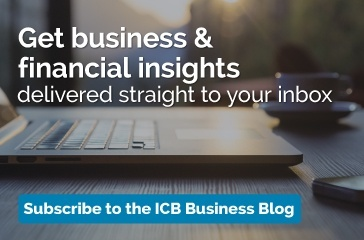 Investors Community Bank does not charge a fee for using ICB Business Mobile, however, your wireless carrier's standard web access and text message rates may still apply.